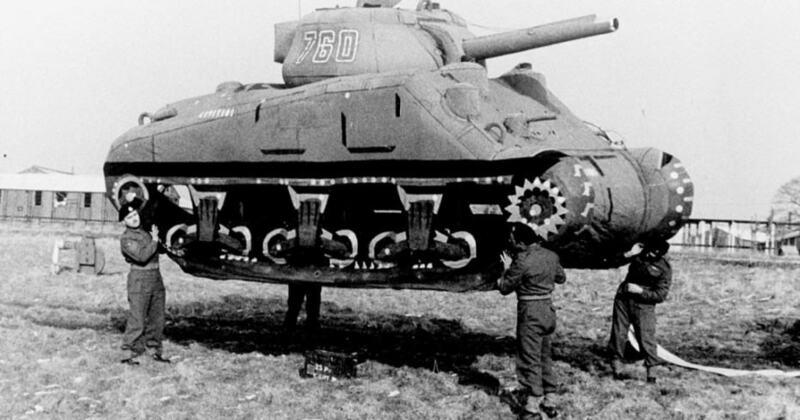 In the crucial months following the D-Day invasion, the clever foxes of the 23rd Headquarters Special Troops repeatedly fooled the Nazis by deploying a Ghost Army; a phantom division of mocked-up tanks, vehicles, and artillery. The artists, actors, designers, and audio-technicians who made up the unit managed to deceive the Nazis on more than 20 occasions. Now, more than seventy years later, a bipartisan congressional movement seeks to reward the tricksters for their efforts. Rep. Peter King (R-N.Y.) and Rep. Annie Kuster (D-N.H.) have introduced a bill called "The Ghost Army Gold Medal Act," according to the Washington Times. "It is finally time that the American people recognize their ingenuity and selflessness which saved countless American and Allied lives," Mr. King says. "The Ghost Army deserve their due." The bill has picked up over 30 co-sponsors in the House, with a companion bill being introduced in the Senate. There are currently surviving "Ghost vets" in 11 states and the District of Columbia. If the Ghost Army is awarded the Congressional Gold Medal, they will be joining other specialized WWII units such as the Monuments Men, the Doolittle Raiders, and the Native American Code-talkers. Though the 23rd was made up of only 1,000 men, they were often able to dupe the Nazi army into believing they numbered closer to 30,000. They did this by strategically placing dummy tanks, trucks, and artillery within enemy line of site, while blasting sound effects of heavily armed infantry on giant boom boxes, while could be heard from more than 20km away. This was often enough to distract the enemy long enough for the non-inflatable Allied Army to get into position on the crucial front lines of Normandy to the Rhine River. It's estimated that these tactics saved tens of thousands of soldiers' lives. The ingenuity of the 23rd wasn't limited to battlefield theatrics. 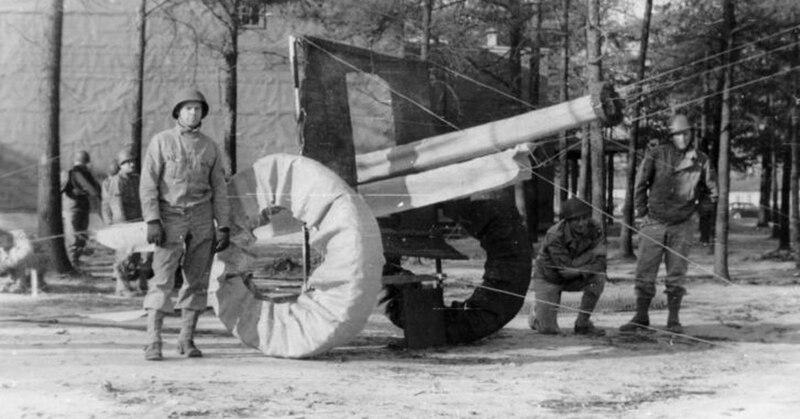 Actors within the Ghost Army impersonated U.S. general and hi-ranking officers in European towns, brazenly discussing fake military plans over casks of wine and fooling German spies. Architects and set designers even constructed dummy camps and airfields, complete with tents and laundry drying on clotheslines, and fake convoys of empty trucks ferrying back and forth. Hollywood has taken notice, as well, and a "Ghost Army" film is currently being developed by "American Sniper" actor Bradley Cooper and producer Todd Philips.